This is a specimen that we actually have a fair amount of information about. 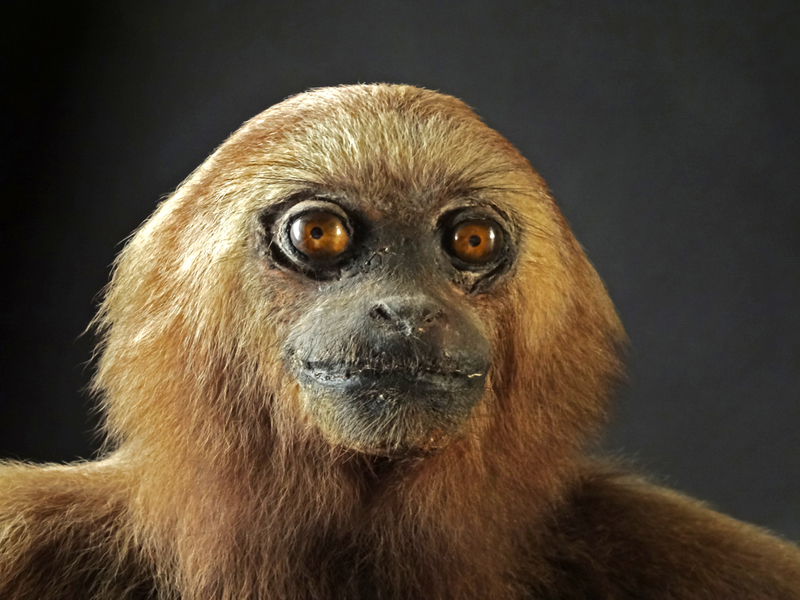 It’s a male Grey Gibbon Hylobates muelleri Martin, 1841 collected before 1909, from Melian on the Hanta River in North Borneo. So of all the suggestions, Crispin (@brainketchup) was the closest (with agreement from henstridgesj) when he suggested White-handed Gibbon. This makes for slightly dodgy taxidermy, but at least it means the skull is available for future research, instead of being stuck in a specimen intended mainly for display. It goes to show that specimens in museums can find themselves being used in all sorts of interesting ways. To my mind this is really what museum collections are for – being used by people. Excellent! 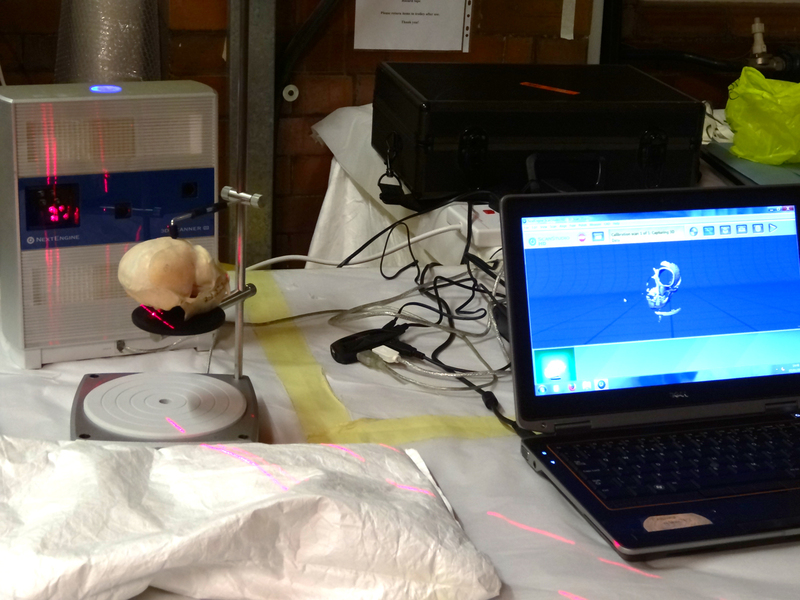 I now want to have my skull scanned too. I’m looking forward to seeing the next object – I need a chance to redeem myself.